You may have seen my blog post earlier in the year about the PR fails of 2012. I know it's a bit late into the new year to be talking about last year still but I have just sent off my application for The Lexis Recommendation Agency grad scheme and for the application I had to look into what were the successes and failures of the PR world in the last 12 months. Aswell as some disastrous campaigns last year, there have also been some fantastic successes in the PR industry. So therefore I thought I would share with you some of the campaigns that have been particularly successful and innovative last year to counteract the failures. 1) Firstly, 'The Games', as a whole, was of course the most successful campaign of the year. From the creative display of the Opening Ceremony to the popularity of the Games Makers to the excellent use of social media. London 2012 was a huge success story which made the country proud to be British. More specifically, one of the greatest successes came from Transport for London and the work they did to ensure the Olympics ran smoothly. The ‘Get Ahead of The Games’ campaign helped commuters avoid the traffic and congestion around the Olympics. They provided tips, advice and information via posters, emails, Twitter, Facebook and YouTube, covering all aspects of social media. TFL enrolled athletes and celebrities to promote the campaign and generate hype around it. 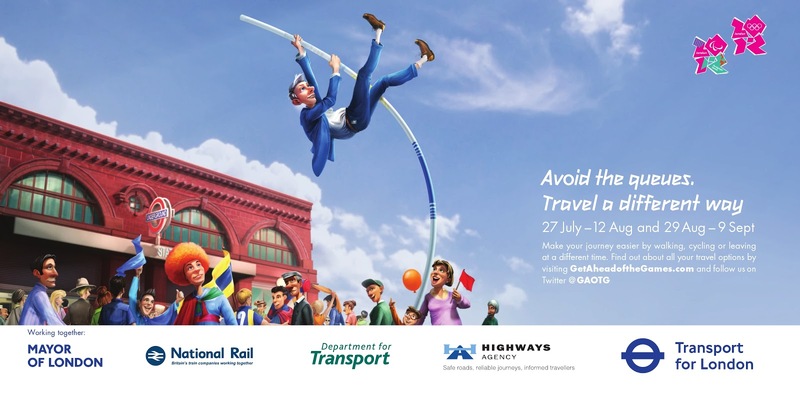 They even used Boris Johnson to record announcements about travel disruptions which were broadcast over the airwaves of the London Underground. The campaign was a great success as roads and underground lines were congestion free and everything ran smoothly as people listened to the advice and avoided many routes. Before ‘The Games’ Londoners and commuters were worried about how London’s transport system would cope with the influx of people in the city. However, the work of TFL proved everyone wrong and pulled off the most successful campaign of 2012. 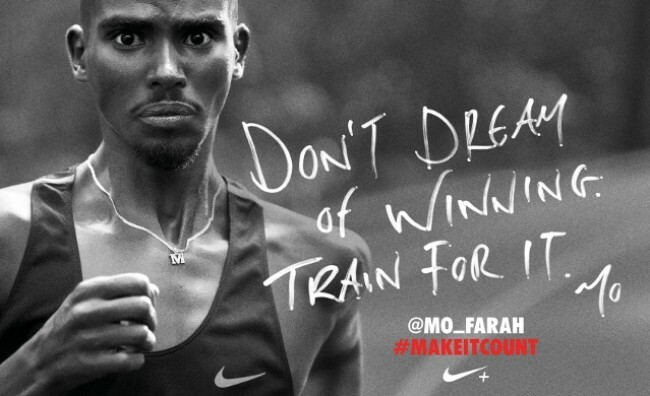 2) Another hugely successful campaign was the Nike ‘Make it Count’ campaign. Nike responded to the increase in people becoming interested in exercise and sports and gave the consumer the chance to connect with the brand through this interactive campaign. The campaign launched in the New Year as people were making their new year’s resolutions. Videos and posters of top athletes training for the Olympics were created with their pledges for 2012 written across the image. The images showed the sheer hard work and determination that goes into training to be the best. These inspirational posters contained the athletes twitter handle and the #makeitcount hash tag. To make the campaign more interactive, members of the public could also tweet their own pledges using the hash tag. This campaign was particularly innovative because, not only did it promote Nike as a brand, it promoted health and wellbeing among consumers, and motivated people to succeed. It encouraged people to make their own goals and change their life. Not only were there posters and videos of aspirational athletes, the brand also launched a YouTube video which soon went viral. The video was of two men travelling around the world in 10 days featuring some of the most iconic and beautiful locations. The video, littered with famous inspirational quotes, called for people to live life to the full and appreciate every moment. The video is truly uplifting and was an extremely innovative way of inspiring the younger generation to do something with their life and live an adventure. Watch the video below, I've watched it about 10 times and love it even more each time! 3) Movember is a worldwide concept where men grow their moustache for the month of November in order to raise money and awareness of prostate cancer. The success of the charity is growing year on year with 2012 being the biggest and most profitable for the charity. The concept in itself is a great PR stunt, but this year, there were hundreds of PR campaigns coming off the back of the notion and the moustache even turned into a key trend for A/W not only on the faces of men all over the world, but also on clothing, interiors and beauty products. Social media was responsible for the progression of the charity, with a 111% increase in mentions this year compared to last year. The use of celebrity supporters on Twitter and Facebook also spread the word of the charity and photo uploading on social networking sites allowed for further exposure. The moustache is particularly iconic in Britain as the traditional English gentleman is synonymous with sporting the face furniture. This stereotyping adds to the success of Movember in Britain and headlined the trend. 4) Finally, a hugely successful and entertaining campaign came from Bodyform. I am sure you have all seen the video which immediately went viral in October last year. When a traumatised man, Richard Neill, wrote on the company's Facebook page about the misconception Bodyform had given him of a women during her period. Claiming that their advertising shows womens 'time of the month' as a joyous and exciting time when in reality it is a time of anger and hatred. Over 80,000 people 'liked' the Facebook comment so Bodyform cleverly responded to this post by making a viral video. The video entitled 'The Truth' features Bodyforms 'boss' explaining to Richard the truth about periods. (To understand it properly you need to watch the video!) The video, which has over 3,700,000 views on YouTube, ends with the CEO thanking Richard for lifting the veil on their lies and exposing the truth. The carefully crafted response puts a humorous spin on a taboo subject and shows Bodyforms sense of humour. This campaign brilliantly highlights how successful social media can be if used correctly! Reading this info So i am satisfied to convey that I've an incredibly just right uncanny feeling I discovered exactly what I needed. I so much no doubt will make sure to don?t disregard this website and provides it a glance regularly. my identify is eugene I really operate alot but on my days off. excess weight accordingly and truly know what you happen to be performing. You're heading possessing to function every muscle stabilizers and all to possess a physique at least clsoe to that. At any rate muscle mass like that requires time and genetics and contrary to popular belief can be accomplished with out steriods. from studying the stuff on your website mostly simply because it is a breathe of fresh air from each of the BS out there. men don't wear their uniforms offbase/home/ on depart? Kirk Alyn and um...who's that guy? oh yeah the newest Superman, Henry Cavill??? need allowing them to build to their full likely as human.
."EDUCATION IS NOT FILLING THE? PAIL, It's LIGHTING THE FIRE"
I tried 800 mg each day for 4 weeks and i've truly gained weight. I am not obese but desired to find out if it operates. Now I am over weight in my abdomen which I've never ever been. am not sure about this from individual expertise I do not believe in it. I have a brand new bottle that is in the trash!